I have been in the customer service industry most of my life. The experience and knowledge that I have learned over the years has been very helpful to me when I decided to become a Realtor. I enjoy meeting new people and learning about their lives. It gives me great pleasure to help my clients that are looking to buy the perfect home. I like to take the time and walk you through the process, whether buying or selling, so you get an understanding of what to expect. I realize everyone has hectic schedules so I will work around your schedule to accommodate your needs. 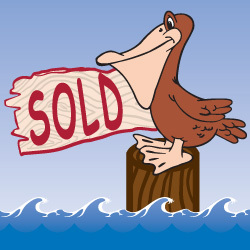 I not only sell homes in La Porte and surrounding areas Spring, Cypress and Willowbrook, but welcome the opportunity to sell in other markets. I have connections with the best lenders, inspectors, insurance companies and contractors to streamline the process for you. I have lived in La Porte over 40-years and have always loved the community. I have 3 wonderful children and spent countless hours at baseball parks and football fields enjoying every minute. When I’m not working I like to participate in 5K runs and have been known to enter the “tough mudder” competition and actually crossed the finish line! However, what I love most is spending time with my wonderful friends and family. My name is Laura Whilley and I want to be YOUR Realtor.